An interesting visual representation of a complex but hotly debated topic, especially in Superpowers. 1. How could the growth of the BRICS threaten the existing status quo of superpower status i.e. 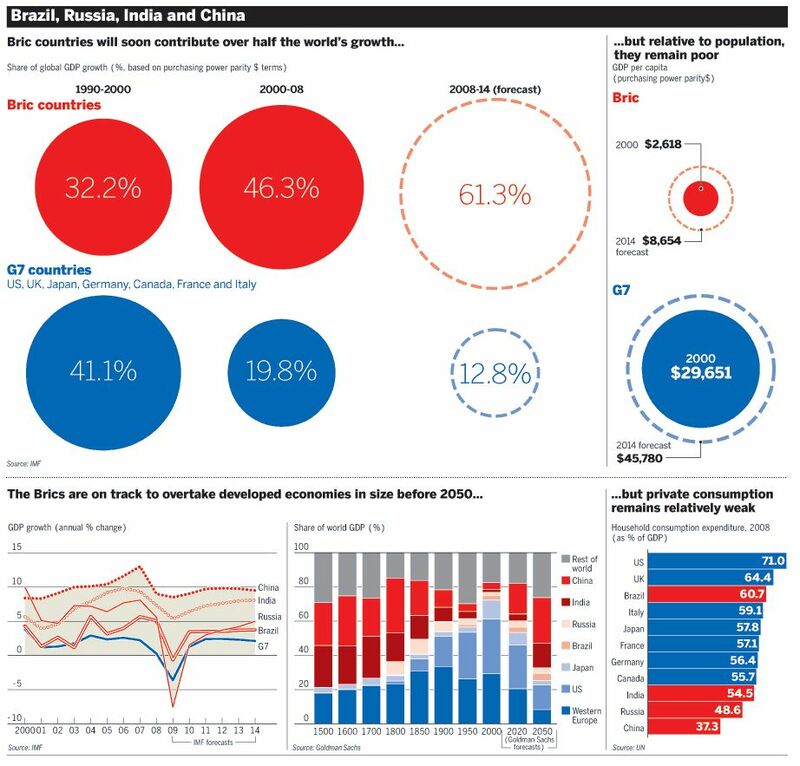 the core - will the BRICS ever achieve superpower status? Discuss. 2. In what ways and by what means will the BRICS grow? 3. Outline the environmental, economic and social benefits and costs of the rise of the BRICS.